Maybe you are looking for the number of live births in the United States in the year 2000. Or maybe it’s the percentage of children in Michigan who received the chicken pox vaccine in 2014. Or maybe it’s the crime rate in Detroit. You may have a need to know airline on-time performance or maybe you need the box scores from the 2005 Major League Baseball All Star Game (bonus points if you know where it was played.) The library portal page has all sorts of statistical resources to find any stat you may need. Here is a selection of sites you may find useful. 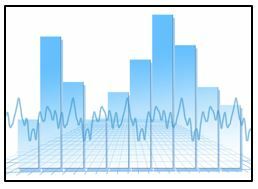 FedStats provides a range of official statistical information produced by the Federal Government on such topics as economic and population trends, crime, education, health care, aviation safety, energy use, farm production and more. The Michigan Department of Health and Human Services develops statistics to provide basic information about health events in Michigan. Data is available at the state, county and community level. The U.S. Census Bureau website provides access to census data from 1790 to 2010. It is the leading source for data about the nation’s people and economy. This Gale database provides highly-detailed demographic data on income, housing race, age, education, retail spending, consumer expenditures, businesses and more by state, county, zip code, congressional district and more. Customizable and printable maps show road and aerial views to review demographics on people and businesses. Users can easily and quickly produce a variety of reports, both standard and custom. Off-campus access will require authorization. This site, managed by the U.S. Department of Commerce, provides trade statistics by market and industry at the state, national and international levels. Data can be displayed in maps, graphs, tables. The Statistical Abstract is a comprehensive summary of statistics on the social, political, and economic organization of the United States. It contains over 1,400 indexed tables that are searchable and browsable. The Statistical Abstract is a favorite “go to” resource for librarians. Off-campus access will require authorization. The statistics page of the UDM General Resources LibGuide has multiple links to statistical websites. From crime stats to health stats to economic indicators and sports stats, there’s a better than even chance you’ll find what you’re looking for here. Need more help? Stop by the library and ask a librarian.